First of all, I wish I had audio of McIntosh saying he loved the OU visit. It was very genuine. The kids were out there having fun coaching the girls in a Powderpuff football and when I asked him about the OU visit, he looked me dead in my eyes with this big grin and “I absolutely loved it”. I did not realize Josh would be visiting. I asked him and he said, “yeah I’m trying to visit there next month”. He said he’s been in communication with coach Kerry Cooks. I asked him which game he plans to attend and he said he plans to be at the Oklahoma State game. That’s going to be a big recruiting weekend for the Sooners in their attempt to grab their final few pieces. I obviously didn’t get a chance to see either player in action. But I will make a couple of observations that I take into account in my evaluations, anyway. ***Maturity: Love the way these guys interact with their peers. You get the sense right away that the teachers around the school, the other kids, the coaches like and respect both players. They’re obviously the big men on campus but they carry themselves with humility and kindness. Both McIntosh and Sanguinetti made very good first impressions. ***Size: Both are right around 6’0. Sanguinetti is long and lean, plenty of room to build on a great frame. McIntosh is well put together and powerfully built in his lower body. Broad shoulders, thick hands. He’s going to be a big powerful back in college and should be tough to bring down. ***As bad as the D is, this OU team probably still makes it to the Big 12 championship. They just played the best athletes, defensively that they will face and still put 45 pts on them despite two turnovers. They’ll outscore everyone is my guess. ***Hard to understand why they wouldn’t bring pressure on the last drive. You either want them to score fast so you’ve got the ball last or you stop them and get the ball back. Either way, let your offense have the ball to end the game with more than 10 seconds. ***S&C is a problem. I’ll likely write more about this but there are issues behind the scenes. I’ve done enough research on the OU and UT side (as it relates to Wylie). But it’s pretty obvious with lack of strength in the trenches and lack of explosion and power through contact on the back end. ***Asked a source close to the program what the solution is on the defensive side of the ball. Was told very simply, “new coaches”. I’ll put these posts in parts because there will probably be a lot of different things to say but I want to keep them focused for you all. I think it’ll be easier to read and discuss that way. One of the most obvious issues with this defense is tackling. I’ve spoken to people on both the OU and Texas sides. The Texas staff knew OU’s tackling was bad going into the game. I don’t think they knew how bad. Let me say that while I’m not at practice, it’s obvious that there is a flaw in how OU programs their tackling development throughout the year. That can’t necessarily be fixed right now. But what can be fixed is accountability. You cannot stop an offense if they can throw a screen and drag your defenders for 10+ yards. So let me tell you a story and then tie it into accountability. Many years ago I had a boxing coach who we will call, coach John. I was 132 lbs. Coach John was 220 lbs and at the time, a better fighter than me. For whatever reason, when I wasn’t sparring at the end of practice with someone else, he wanted me to spar with him. I hated it because every time I hit him, it would turn into a full speed ordeal where he was trying to kill me. But I wanted no punk so I kept doing it. So one day we start out and I’m throwing some jabs out at him. In my mind, I feel like I’m really trying. But it was like the Yoda quote, “there is no try, only do”. Coach John must have sensed the subconscious mental block in mind that was keeping me from really committing to my punches. So, he says, “*%*^**%*$*# if you don’t hit me, I’m gonna *%*$ you up”. So now, whatever fear I had of hitting him was replaced with the fear of the consequence for not hitting him. I instantly hit him three times in his face. The fight, of course, turned full speed. I did a pretty good job of avoiding everything until the end. He had me in the corner and I blocked a straight right but the punch was hard enough to have me walking around for the next few days like something was broken in my head (concussions weren’t a big deal in those days). My point is, yes this team needs to learn to tackle and it needs to be an emphasis throughout the year. But right now, you have to create a real consequence for missing tackles. You have to make the fear of that consequence greater than the fear of these guys getting dirty and getting in there and really hitting somebody. That consequence should be that when you miss tackles…you get pulled. The defense isn’t stopping anyone anyway. Send a message to the guy on the field and the guy behind him on the bench. The guy on the field knows the next time he’s in there, he better be willing to stick his face on someone. And the guy behind him will be willing stick his face on someone because he doesn’t want to relinquish the spot. Additionally, you send a signal that everything is fair. If you do what you’re asked to do, you get to play. Sources tell me that there is a sense inside the defensive locker room that no matter how bad some guys play, they don’t come off the field and there are no consequences. You have to have accountability. Will that change with the insertion of an interim DC? We will soon find out. ***Woodi Washington says he heard the news and said, “I’m still 100%”. 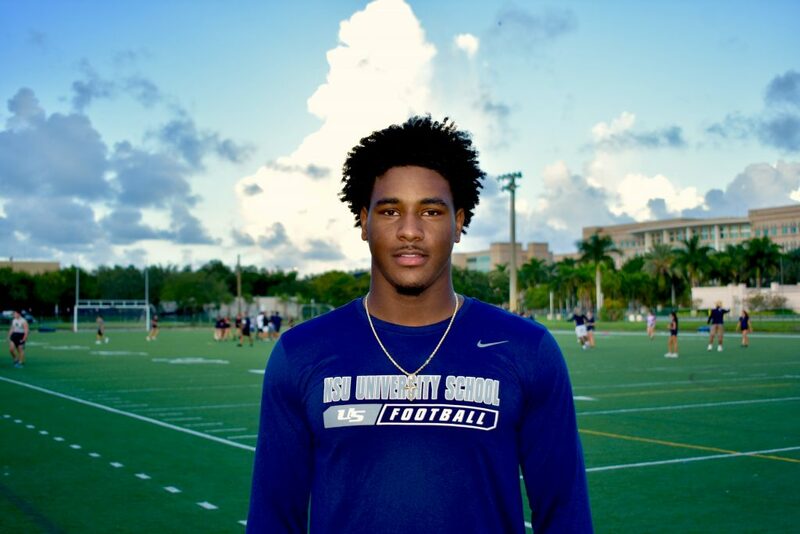 ***Spoke to the father of Marcus Hicks who said, essentially, they committed to Lincoln Riley and OU and they’re excited to see who Riley hires. They’re hoping for an aggressive DC. They are solid. 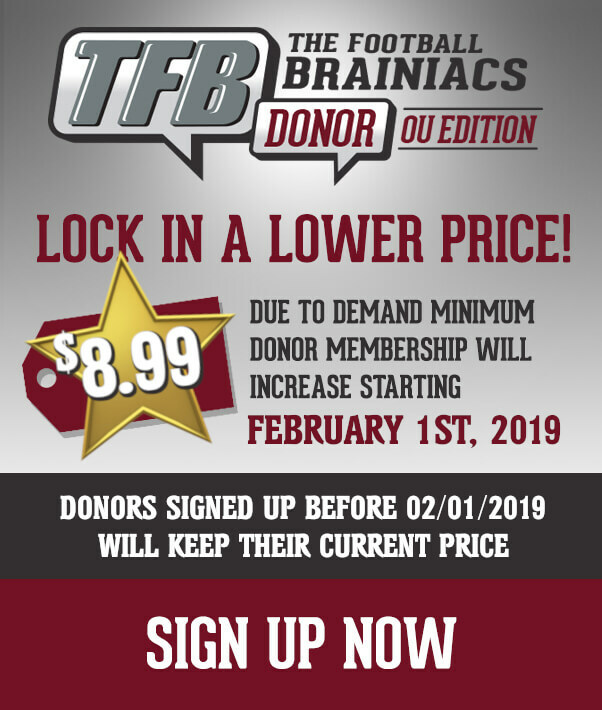 ***Jonathan Perkins, “OU knows what they’re doing. I’m still solid”. James Hale has been a fixture on the Sooner beat for over 30 years. It is our pleasure to welcome him as a guest contributor for TFB. James has deep ties to the Sooner football program and he will be providing us with his thoughts and sourced updates throughout the season as we continually seek to provide you with as much information as possible on your Sooners. *** In one of the most frustrating and disappointing OU-Texas games I have ever covered OU lost 48-to-45 to the Texas Longhorns in front of another capacity crowd of 92,300 and the rigidity Cotton Bowl in Dallas, Texas. *** The Sooners poor defensive performance and poor ranking nationally did cause OU President James L. Gallogly to call in his head coach Lincoln Riley and his Defensive Coordinator Mike Stoops to ask what was going on. That meeting has led to Coach Mike’s dismissal as the Defensive Coordinator at OU. There is no word on who will replace him moving forward. *** Murray took the blame for the loss after the game calling his two turnovers the difference in the game. That is what leaders do but blaming Murray is like blaming a pitcher who strikes out 11 but gives up a homer as his offense gets only one hit and it was an infield single in the game. You can say Murray has bad luck or timing dropping the ball trying to scramble after his defense had forced their first Longhorn punt in the third quarter. *** Of course, the defense could not rise up and have the back of their quarterback and five plays later Texas had a touchdown and increased their lead to 38-24. Murray also threw an ill-advised interception in the first quarter with the score tied at seven when he got just a tad greedy because it was apparent that Texas defense wasn’t going to have much better luck stopping OU’s offense on this day. *** Of course, the OU defense failed to have the back of their QB on that play either but at least this time they held Texas to a field goal giving the Horns their first lead. *** Once again the Sooners turned an average Longhorn QB Sam Ehlinger into a Longhorn hero as he hit 24-35 passes for 314-yards and two touchdowns while rushing for 72-yards on 19-carries and scoring three touchdowns. This was the same Longhorn offense that scored 10 points last week against Kansas State. *** OU should have won this game and the Sooners offense almost pulled this one off, but the defense was so bad that in the end the Football Gods blessed the Longhorns and gave them the ball last and there was nothing OU could do to get the ball back to their high powered offense. *** OU looked like they had a stop but Trey Norwood was called for pass interference on a play that it looked like he had the Horn receiver covered, but he never looked back for the ball and once the Horns got that break the OU D could do nothing to stop the Horns from driving down the field. *** “Obviously, very disappointed with the way that the game ended,” said Coach Riley. “That is a game that we always expect to win. We’re going to back and find a million things that we did well and a million things that we didn’t do well. That was the message to the team, as it was a tale of two games for us. The first part, we were inconsistent offensively and didn’t get enough stops defensively. We were kind of average on special teams. Then at the end of the game, where I was very proud of our team’s fight there at the end”. *** Poor tackling once again haunted the Sooners throughout the game with nothing more glaring than on a 3-and-21 in the third quarter when the Longhorns basically threw up a white flag and hit Lil’ Jordan Humphrey, all 6’4 and 220 of him on a quick slant and he was immediately hit by OU strong safety Bookie Radley Hiles all 5’9, 186 of him and a slew of other Sooners that he dragged for 19 yards setting up a fourth-and-two. *** Not one Sooner went down to grab his Humphrey’s legs and none of the Sooners were big or strong enough to stop his momentum. *** The entire game the OU defense struggled to get lined up and at times the players played as if they were uncertain what they were supposed to do and knew what to do. *** After two outstanding games from the linebackers, they reverted to past form and struggled to find the ball and always seemed to take the wrong angle in trying to get to the ball. *** They rushed to the line of scrimmage too quickly and got caught up in the trash and, while Curtis Bolton finished with 13 tackles and Kenneth Murray had 10, it was not an effective 13 and 10. *** “We just had no rhythm and didn’t all day,” said Coach Stoops. “We were totally off balance and we could not find anything to hang out hat on. We start to get a little rhythm in the third quarter and we give up a third-and-19 which I thought was critical and kind of broke our back there. We missed an assignment and let a guy cross, and that was when we were starting to get a little bit into the game. In that situation, we needed a big stop and I think we may have turned it over and had them in a third-and-long and we didn’t get off the field. You can’t make a mistake in a game like this and get away with it”. 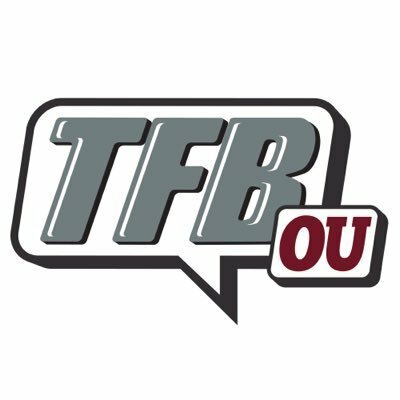 *** OU had to burn all their second-half timeouts on the defense because OU looked confused trying to line up, especially for a couple of fourth down situations. *** OU worked in a four-man front, or what they called a four-man front, in this game with “Jack’ backer Mark Jackson (6’1, 239) basically playing a quasi-defensive end. Jackson did not hold up well against the Horns much bigger offensive line often getting blocked to the ground finishing with three tackles and one tackle for loss. *** For the first time this season we saw Kyler Murray struggle at times and get frustrated at times but in the end, OU would not have gotten back into the game if it wasn’t for Murray’s heroics. However, in saying that his two turnovers did cost the Sooners two-points and big momentum after the defense had forced the Horns first punt of the game. *** Despite hitting on 19-26 passes for 304-yards and four touchdowns and rushing for 92-yards on 11-carries and one spectacular 67-yard touchdown Murray tried to take the blame for the loss on his two turnovers, one fumble and one interception. *** “On the turnovers, one the first one I kind of lost my footing, but knowing coverage and knowing the situation I should not have tried to fit it in there. On the second one, Coach Riley’s thing, and he’s preached it all the time, is ball security in the pocket, and I don’t know how many times he has told me that and I lost the ball there” (Murray shaking his head). *** This loss is tough to take because the offense scored enough points to win but the defense played so badly that it is going to be interesting to see what the program does going forward.